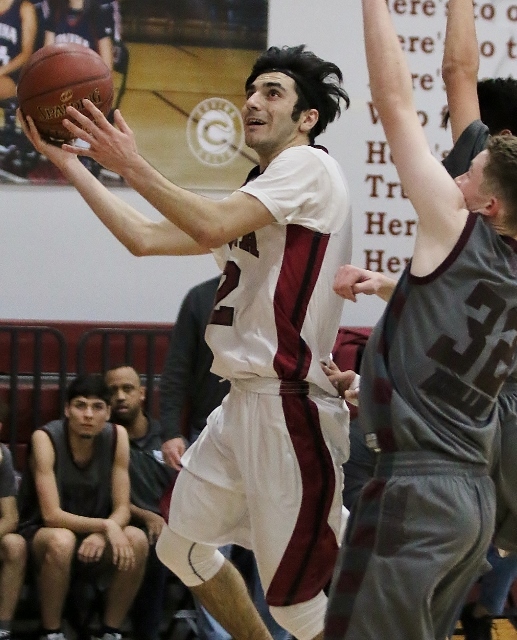 (Covina) – Andrew Higley scored 36 points to lead Covina to a 77-57 win over Rancho Mirage Friday night in the first round of the CIF Division 3A playoffs. Higley hit six three pointers overall and finished the game strong with 12 points in the fourth quarter. The Colts hit 14 threes for the game including 10 in the first half as they took a 43-32 lead. Daniel Hernandez knocked down four from beyond the arc and finished with 16 points. Rudy Suarez and Izaiah Tapia each hit one. “We knew that team over there (Rancho Mirage) could score a lot of points so we knew we had to as well. We knew we had to shoot the ball well,” Bissman said. The Colts did exactly that. They hit five threes in the first quarter alone with Higley hitting three and scoring 11 in the quarter. Rancho Mirage was able to keep pace however and the game was tied at 20 after one. 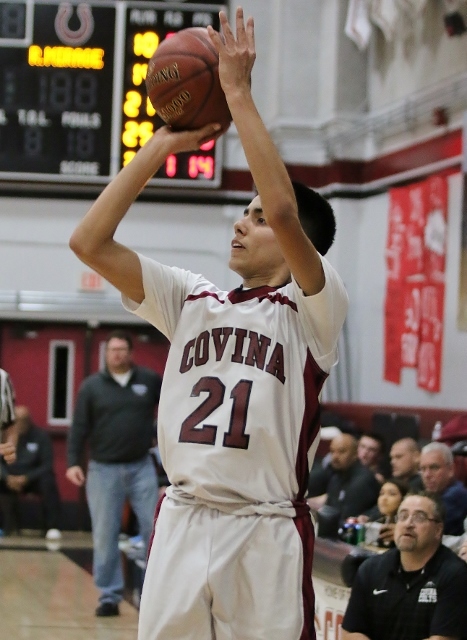 Covina stayed hot in the second outscoring the Rattlers 23-12 to take an 11 point lead onto the break. Higley led the second quarter charge with seven points and Hernandez had five. The Colts increased the lead to 13 in the quarter before going in to the break up by 11. Rancho Mirage played Covina even again in the third quarter before the Colts broke it open in the final frame with a 19-10 advantage in the period. Higley and Hernandez combined for 52 and Suarez also finished in double figures with 13. Martinez tossed in seven. For Rancho Mirage Grant Kelly and David Talley each had 16 points and Joseph Rojas had 14 nailing 4 for 12 from three point land. Rodrigo Jacquez scored eight. Rojas hit the only threes of the night for Rancho Mirage as the Rattlers struggled from long range hitting just 4 of 24 from the land of plenty. The Colts not only advanced to the second round with the victory was it was also a milestone for Bissman. The win was the 200th of his career in his 13th year as the Covina head coach. The team celebrated as he was presented with a plaque commemorating the event after the final buzzer. Next up for Covina is a trip out to Garden Grove to take on Pacifica Tuesday night. 1 Comment to "Covina Dials Long Distance to Advance"